The middles silencer achieves both exhaust efficiency and sound dampening requirements. 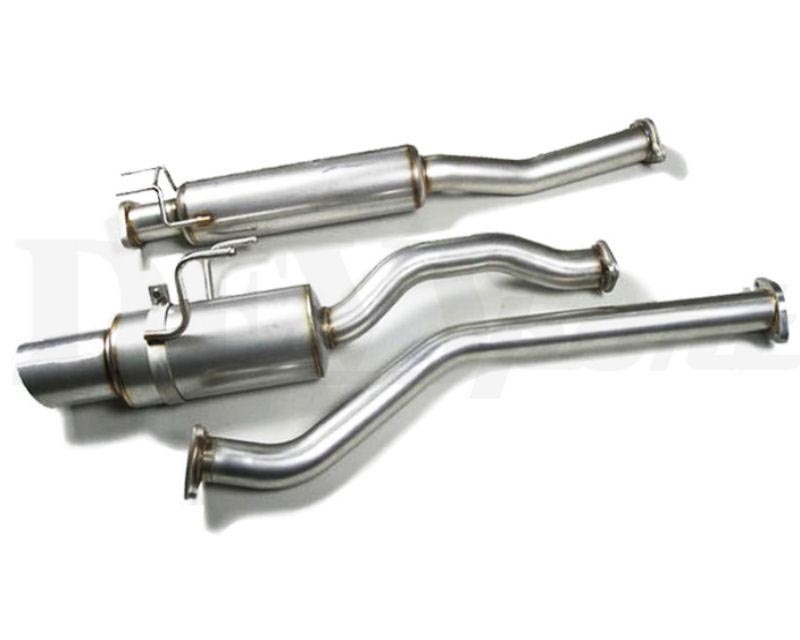 Usual mufflers are designed to "muffle" sound and results in restricting performance. 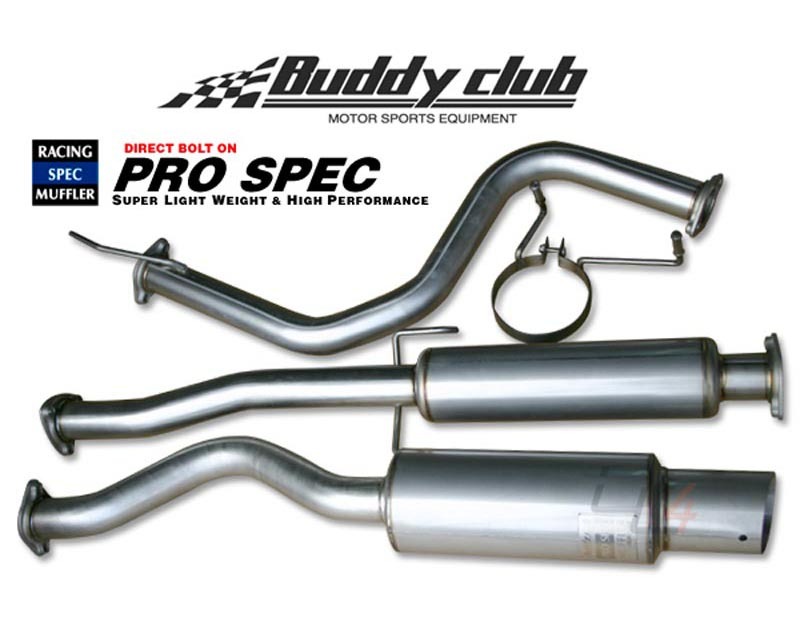 Buddy Club mufflers, with results of trial and error, have developed the highest possible performance while maintaining a low throaty tone. Only the finest material are used, that meets high endurance, light weight, and excellent fit. The inner silencer is included with all mufflers. When installed it meets volume safety standards. Improvement in durability can be seen by the use of "band- stay" hooks as attachment to the main silencer.The absence of welds help maintain the light weight frame. 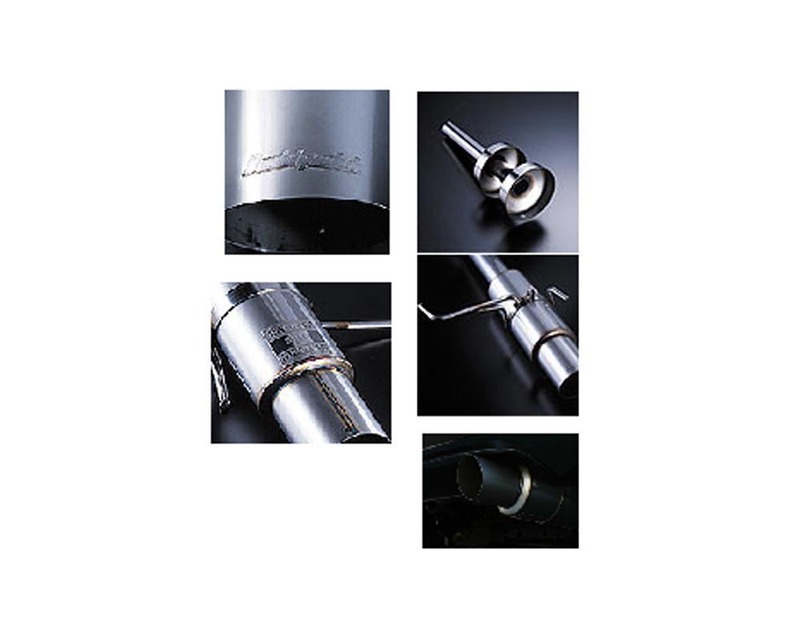 In continuing the light weight form the muffler tip is made with a slight incline cut. This is a demonstration of commitment to performance and style. A mark of quality and craftsmanship, all muffler are engraved with the Buddy Club insignia. Note: Pictures are for representation only. Actual product may vary. Buddy Club started back in 1990 with founder Mitoshi Kakimoto as a famous Formula 3 driver back in Japan. Kakimoto's race proven technology transferred to track performance parts known as "Buddy Club" performance aftermarket parts. In 1993, Buddy Club formed the "First Racing" Team and was successful. They participated in the famous JGTC(Japan Grand Touring Championship) and N1 Super Taiku Endurance Races in Japan, and Buddy Club was recognized as a prestigious Race Team & Brand in the Japanese Tuner Market. By 1996-2001 Buddy Club sponsored multiple teams that were successful in the JTCC(Japanese Touring Car Championship). In the meantime, Buddy Club Japan discovered potential with race driver Jun-San from Team AAI Motorsports, Taiwan. With the joint partnership from AAI Motorsports Taiwan, Buddy Club Japan achieved an outstanding record of seven 1st places finishes in South East Asia's ATCC series(Asian Touring Car Championship). This momentum drove Buddy Club Japan to rapidly grow in popularity and continue produce high quality performance parts for new applications throughout Asia. By 2003 Buddy Club set up a branch office/warehouse in America, known as "Buddy Club USA", and in 2005, set up a distribution network in Hong Kong, Australia, New Zealand, Thailand, Singapore, Korea, China, and the UK. In 2010 the global network is still expanding and continues to keep world wide JDM tuners racing dreams come true! Let your race fantasy become reality! Keep On Racing!